1 Top 8 Picks for the Best Infant Car Seat on the Market . 3.2 Brand new or secondhand? 3.10 Are the straps adjustable? One of the most important decisions for any parent is choosing the best car seat for your newborn or infant. Obviously, you would want a car seat that is easy to use, comfortable, and safe. 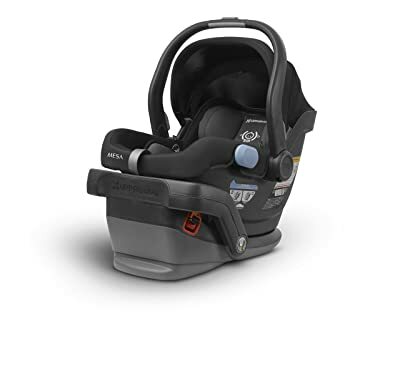 While most of the infant car seats out there pass the quality and safety standards, other car seats go the extra mile, offering leg loads, rebound bars, belt paths, and enhanced impact protection. With so many brands that offer quality products, we imagine that choosing the best infant car seat would be very confusing for you. Fortunately, we are here to help you make an intelligent buying decision. In this post, we are going to talk about everything there is to know about infant car seats, which we hope would help you narrow down your choices into choosing only the best of the best. Top 8 Picks for the Best Infant Car Seat on the Market . In this section, we are going to discuss the top 8 choices for the best infant car seat. Here you will be able to know the product better, which can help you evaluate which features are important for you or not. In addition, it can also aid in narrowing your choices into choosing the best one available in the market right now. 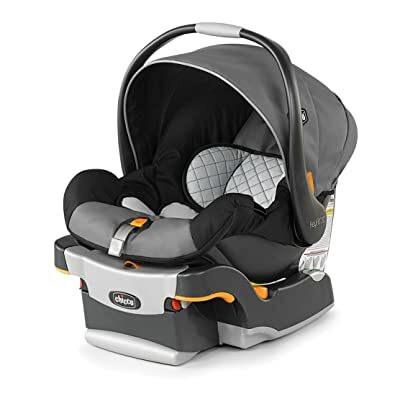 The Chicco KeyFit 30 offers one of the best prices compared to other top-ranking infant cars eats on this review, which makes it also very valuable for your money. It is very easy to install and it achieved a great score when tested for crashes. It features an easy to use LATCH system and its unique features make installation a breeze for any parent. Some of its best features include the Super Cinch One-Pull Latch Tightener, its Ride Right Bubble Level Indicators that indicate accurate angles, its Recline Sure Spring-Loaded Leveling Foot that helps you achieve a proper base angle, its easy vehicle belt routing, and the smooth underside that will protect your seats from potential damages. One thing to take note of, however, is that the canopy may be a bit small. This would mean that it will not be able to offer much sun coverage compared to other models that offer extendable canopies. To add, for you to be able to move the handlebar, you are going to need to press buttons using both your hands, which may be difficult if you’re already holding the baby. Just like the previous Chicco KeyFit model, the Orion series offers the same safety features such as the Recline Sure leveling foot, Ride Right bubble levels, and it is tightened with the Super Cinch LATCH. It also is designed to provide you superior travel convenience and it is compatible with Chicco strollers, which unfortunately is sold separately. One of the best features of the Chicco Orion series is that it has a renewable newborn head and body supports. With this, you are assured that your baby is comfortable, even while you are on the move. To add, it can accommodate infants with weights from 4 to 30 pounds, as well as 30 inches in height. Another great reason to buy the Chicco Orion model is that it features the highly secure 5-point harness that can easily be adjusted. You will also not have a hard time carrying it with your baby in it due to the 2-position carry handle. 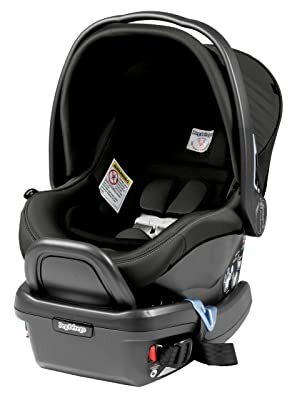 The Graco SnugRide is one of the most popular and bestselling infant car seats right now. It is interesting to know that the brand has been offering the SnugRide series for more than 10 years and buyers were happy about it. While it does not come in stylish or colorful patterns, it does work well and parents like it. While it is way cheaper than Chicco, it also has the capacity to carry a baby of up to 35 pounds and a 32-inch height limit. It can be attached using the LATCH system or with the car’s safety belt. One great feature of this infant car seat is that the sides had been tested for impact and it uses energy-absorbing foam for additional safety. Another reason to buy this car seat is that it is very lightweight and you can easily snap it in and out of the car seat base. You can also attach it to a stroller using the Click Connect feature, which offers convenience during travel. Lastly, the whole package including the base and the car seat weighs only 15 pounds, which makes it very easy to carry around and transport. The Doona infant car seat, interestingly, is the first one that has a complete and fully integrated mobility solution. It is very easy to install with its one-click system and it also allows you to move from the car seat to stroller within seconds. What sets this apart from the rest is that it has wheels, further proving the brand’s dedication to innovation, design, and safety. It has a 5-point harness that enhances the security of your newborn and it is also very easy to fold and unfold. It also has an adjustable handlebar that you can also use as an anti-rebound bar inside the vehicle. It includes advanced safety features such as one-touch brake, the insert and head support, vehicle seat protector, and LATCH base. Another great thing about this infant car seat is that it has a removable and washable fabric. This is a relief for many parents because it ensures proper hygiene for their newborn. It has height adjustment mechanism and an easy to comprehend level indicators, which ensure proper angle positioning. Lastly, it is compliant with US safety regulations. The UPPAbaby MESA infant car seat would seem like the whole package. It is such a relief to know that it earned high scores when tested by the National Highway Traffic Safety Administration in terms of ease of use. All thanks to the built-in lock-offs and harness that will never require you to do re-threading. It is also very convenient to use, in which I think that every parent would appreciate that they can quickly unclip and straps while detaching the carrier from the base. When in a hurry, you would not need to waste time finding hidden buckles and latches. This alone would certainly give the MESA series an advantage over other brands. But there’s more. The one thing that can give your newborn or infant the comfort he or she needs is the seat’s fabric. And the Merino wool fabric used on this car seat impressed a lot of parents. It’s surprising that this is the only car seat that contains no chemical flame retardants. The price is also reasonable, you only need to shell out $180 and you will have a car seat that is as good as the expensive ones. 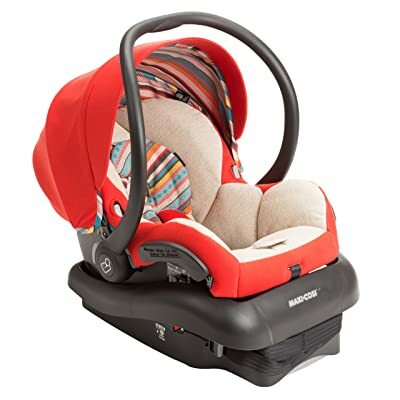 Another great product on this list of the best infant car seats is the Maxi-Cosi Mico AP. It is one of the premium car seats available right now. It features a superior side impact protection that also comes with air protect technology. In addition, it also is equipped with premium fabrics and padding that makes the car ride very comfortable for your little one. The Maxi-Cosi Mico AP infant car seat features a flip-out visor on the canopy that allows additional protection, especially from the sun. It is also very easy to clean and maintain, as the fabric is removable, and at the same time, washable. These features alone make it one of the best infant car seats that offer value for the price you pay for it. In case you didn’t know, the Bohemian series was inspired by hand-crafted items with the special focus on tactile fabrics, unique patterns, and playful colors. While it is already visually appealing, it also is the lightest infant car seats out there. As a parent, you would not have a difficult time carrying it around because it features an ergonomic handle. 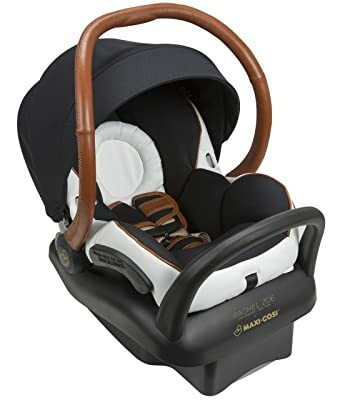 What makes this infant car seat a great bang for your buck is that it comes with patented air protect cushion system that enhances protection, especially around the baby’s head. It also features a 5-point harness that will keep your baby secure and comfortable during the car ride. If you are looking for European car seats, known for the engineering features and safety measures, then you should try the Peg Perego Primo Viaggio. This product is made in Italy and it features not only premium fabrics, but quality feel as well. There were many comments that this car seat feels like a high-end Italian craftsmanship but it’s not the only reason why you should buy it. This infant car seat features a color-coded European belt path that allows an easier and safer installation in your vehicle. What sets it apart from the rest is that it offers the must-have European safety measure, the rebound bar. To add, it can accommodate babies from 4 to 35 pounds of weight or up to 32 inches tall. 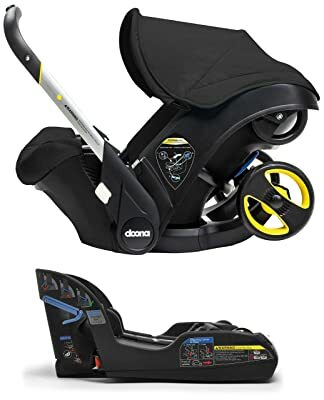 You should also be informed that this car seat comes with the dual stage cushion system that can accommodate the needs of small infants, as well as for larger babies through later adjustment. In addition, it features the Side Impact Protection system that can be adjusted to 6 settings without the need to rethread the harness. Last product on this list is the Maxi-Cosi Mico Max 30 infant car seat, which comes with plush, comfortable, and soft fabric. It is indeed one of the comfiest and coziest car seats out there. It can accommodate baby weight, not more than 30 pounds and 32-inches tall. It is also a very lightweight infant car seat that comes with a detachable canopy. 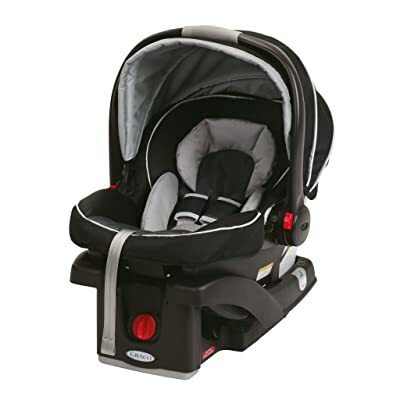 What sets this car seat apart from the rest is that it uses the inflated air side protection cushions, along with energy-absorbing foam, and anti-rebound bar, which all adds more security for your baby. The removable fabric is very easy to wipe clean and remove for washing. It is certainly one of the most hygienic infant car seats out there. Another great reason to buy this car seat is that its fabric is self-wicking, a feature that will keep your newborn comfortable and dry, even in warmer temperatures. One thing to note, however, is that the anti-rebound bars may add a little bit of length to the seat base. This would be a little challenging when you try to maneuver it into compact vehicles. The anti-rebound bar’s length may make it difficult for you to maneuver it into compact cars. Infant car seats are intended for use by newborns until the baby reaches the height of the seat, as well as the 22 to 25-pound weight limit. 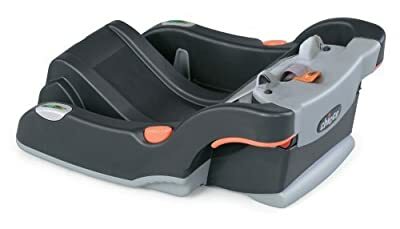 These car seats always face the rear portion of your car. One thing that should be noted is that once your baby outgrows the infant car seat, you are going to need to purchase a replacement, either a convertible car seat or a front-facing car seat. Instead of the rear-facing car seat for your baby or toddler, convertible car seats are forward-facing, specifically made for older children. Normally, this type of infant car seat can hold children of up to 65 pounds. While these are known for their multiple functionalities, they cannot cater to children of every age. You can think of booster car seats as the bridge between the time your toddler still needs an infant car seat to the time he or she can start using an adult-sized seat belt. The booster car seats will help your child sit a little higher; thus, holding them securely into the seat. This type of car seat is best for children at least 40 pounds and at least 4 years of age. As discussed in the previous section, you should know first which type you want to buy. If you are buying for a newborn, then you should get an infant car seat. If your child is older, you should replace the infant car seat with a convertible one. Lastly, if your child is ready to use an adult-sized seat belt, then you should get a booster car seat. As infant car seats are not at all cheap, you might get enticed with buying a secondhand one. One thing to take note of is that used car seats might have damages the original owner might not disclose. To add, older car seats might also be outdated in terms of safety standards. Just remember that if you are buying a used one, make sure that it’s from someone you trust. When choosing an infant car seat, make sure that it fits well inside your car. If you have more than one car, be sure that you can switch the car seat in and out of these vehicles. As mentioned earlier, all car seats are different. But for your convenience, you might want to buy extra car seat bases that you may also use for your babysitter, mother-in-law, or your partner. When you ask parents about car seats, they would tell you that the most frustrating part is the installation. And obviously, proper installation is vital for your infant’s safety. With this, you must choose a car seat that is easy to install, complete with an instructions manual. To add, choose one that will not require you to ask for expert assistance, as you can do this task by yourself. Most of the infant car seats available right now can be seen as part of a travel system, in which the seat can be directly attached into a stroller, as long as it is from the same manufacturer. While some brands offer stroller compatibility, some still require an adapter. You should be informed, however, that the cost might be cheaper in the long run if you buy a separate adapter. You, as a parent, would only want a car seat that is safe for your infant. Almost all modern infant car seats rank similarly but you should also be aware that the manufacture date matters. When choosing a car seat, make sure that you have reviewed all the product details before you check the item out. As safety technology improves over time, try buying one of the recent models. You should also be aware of infant car seats that have been recalled. You might want to check the National Highway Traffic Safety Administration website. It is a very useful resource when you need to check which infant car seats have been recalled because they did not pass the safety standards. If you think that the price is the determining factor when choosing an infant car seat, you’re wrong. There’s nothing more important than your child’s safety. If you wish to spend on cheaper but unreliable car seats, you would regret it. However, it does not necessarily mean that cheap car seats are always of low quality. You can still find a good one but with lesser features. We all know that babies make a lot of mess. Even if you are at home, you know that babies are messy. So, when choosing a car seat for your infant, check to see if the cover comes off. If it does, it is already reassuring that you can easily remove it to wash it when not in use. This is also very hygienic for your newborn, as they always pick up dirt. In terms of car seat criteria, probably the next thing you would want after safety is the comfort. Who wants a screaming infant on a long car ride, anyway? One thing to take note of when choosing a car seat is that it should be padded, offering enough head support for your infant, no matter how long or short the car ride is. This has been a problem in most infant car seats, where the straps are locked at a certain fit. You need to make sure that the straps can be adjusted as your child ages. I’m sure that you know that babies grow fast; thus, the straps need to be adjusted regularly. Some car seats can be adjusted via handles or cords. So before buying, you need to test which of them works well for your baby. The features are what makes an infant car seat valuable to their buyers. If a car seat offers a lot, expect that the price would be a little bit higher than the rest. To add, these features make a very significant impact on your buying decision. Here are some of the much-needed features that you should look for in a car seat for your infant. You would want a car seat that is all-in-one in terms of functionality. Some models can do it all – it can transition from an infant car seat to a convertible car seat for toddlers to booster seats for your growing kids. You would also want a car seat that has clips on both shoulders, crotch, and the hips. This is a safety feature that prevents the risk of your child from slipping out of his or her seat. Wings are also a very important safety feature that can improve the safety of your kid’s head during a crash. Not only will it be able to keep your kid’s head upright, they also provide a cushion when there’s an unexpected collision. In addition, if the car seat has reclining features, you would really appreciate it because it offers your child more comfortable while he or she is sleeping. First, you need to install the car seat base. You need to set the base right in the middle of the seat. It should sit at a 30 to 45-degree angle once it’s on top of the seat. You may use your car’s angle indicator if it’s available. You may use your car’s seat belt to secure the car seat base into the seat. You may not know this yet but all car seats usually have a path wherein you can thread the seat belt through. Then you need to lock the seatbelt. This can be achieved by pulling your car’s seat belt all the way out. Once done, allow your seat belt to retract. Then you may now tighten the seatbelt. You need to place one hand on the car seat base while your other hand holds the seat belt should strap. When you push down the base, simultaneously pull the seat belt slack. This method will secure the car seat base, preventing it to move out of place during a car ride. You need to check the base for slack. If it moves more than 1 inch when you wiggle it, then you need to double check the angle. It cannot be emphasized more but you need to make sure that the car seat is tightly buckled and it should not move more than an inch. Lastly, you may now place the car seat into the base with the click connect system. You can do this step just by setting the rear-facing car seat on top of the base. Bulky clothing can only cause improper placement of the straps on the car seat. One solution is to dress your child in tight-fitting clothes. However, during winter, you may place a warm jacket just next to the infant car seat. You can place the shoulder straps at the lowest possible position, but it should depend on how small or big your child is. The chest clip should always be placed at your baby’s armpit level. With a lot of brands to choose from, how do you know which one to buy? Good thing we have here a complete guide that has provided you with everything that you need to know before you buy the best infant car seat for your baby. You just need to review the types, the essential factors to look for, and the top 8 picks, which we hope can help you make an informed buying decision.